ASTM® C-1028 is the standard test method for determining the static coefficient of friction (SCOF) of ceramic tile and other like surfaces by the dynamometer pull meter method. Static coefficient of friction is a term used in physics to describe the amount of force required to cause an object (e.g., shoe sole material) to start moving across a surface (e.g., flooring material). A higher coefficient indicates increased resistance of shoe sole material to start moving across a flooring material. No standards body has a specifically stated ‘safe’ SCOF value. Due to the difficulty in measuring SCOF and lack of a specific recommendation, in 2012 the tile industry introduced a new method and requirement (DCOF) which is detailed in the next section. ANSI® A326.3 now includes a method for measuring Dynamic Coefficient of Friction (DCOF) and a recommended value of 0.42 for interior, level floors that are likely to be walked upon when wet. DCOF differs from SCOF in that the shoe material moves across the flooring surface and the resistance to movement is constantly recorded and averaged. 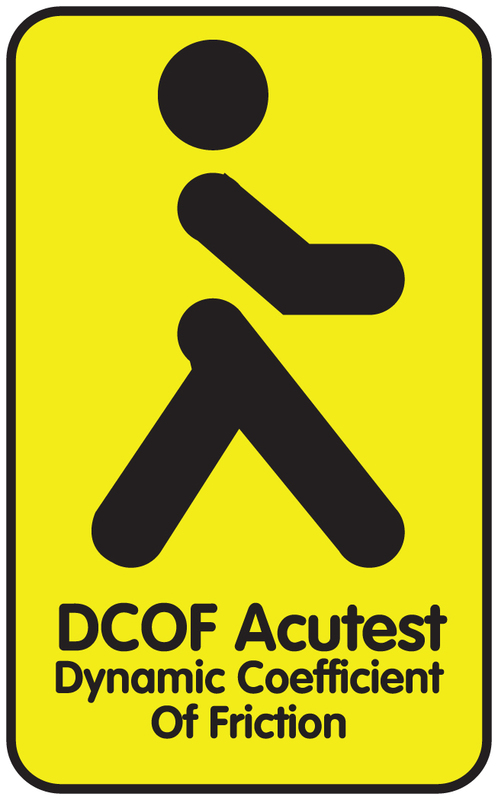 This test uses an automated device (the BOT 3000E) instead of the human hand which reduces the variation in the test method from 30% in the SCOF measurement to less than 10% for DCOF. For a full description of the test, its benefits and limitations please refer to ANSI® A326.3. 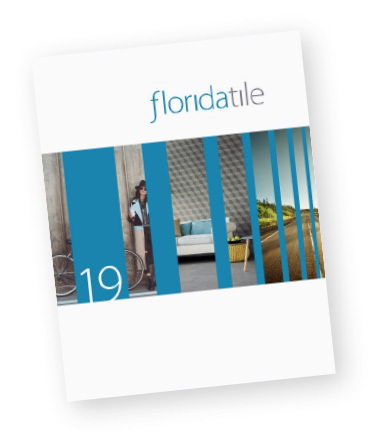 Florida Tile independently tests all is porcelain and stone products using the ANSI® A326.3 method to evaluate Dynamic Coefficient of Friction (DCOF). Products that meet the recommended value of 0.42 are marked are noted on all literaure and merchandising with a "pass" in the technical chart, as well as the addition of the Yellow logo above. For more information, please visit the TCNA website here.